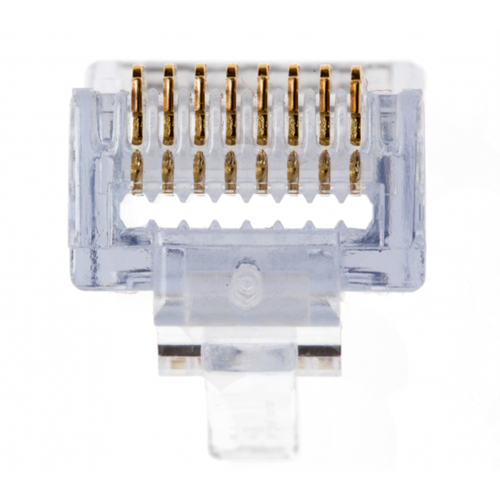 For technicians or do-it-yourself installers, the patented EZ-RJ45 CAT6 connector is unique in that the cable is inserted in to the connector and the wires are fed right back out through the front of the connector. 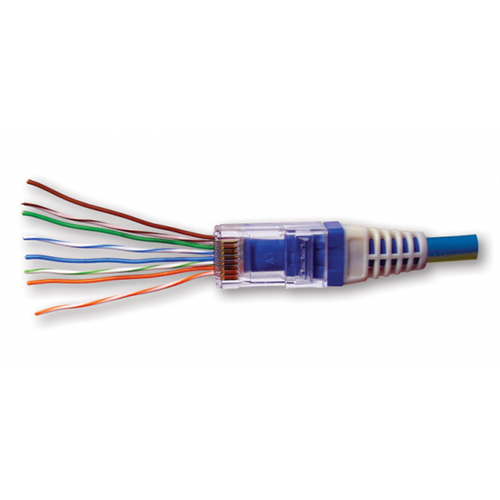 This lets the installer make sure the connector is well seated and to verify the wiring sequence quickly and easily. 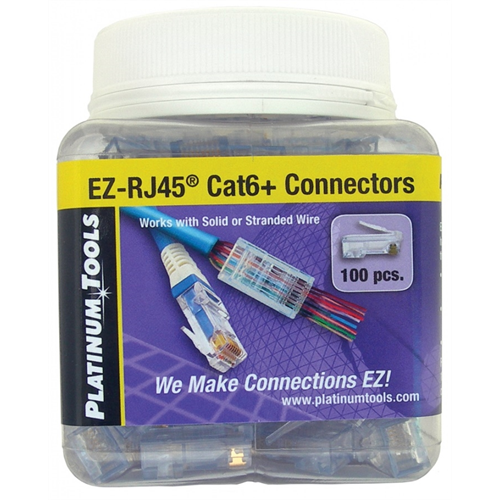 Then the EZ-RJ45 crimp tool is used to crimp and cut the wires at the same time. A perfect job every time! Optional boots available. 202010J is a jar of 100 pieces.